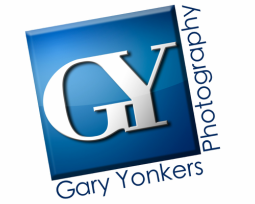 Gary Yonkers is an award winning photographer whose career in professional photography began in 1979. He is a second generation photographer who grew up around all of “that cool stuff”. His mom and dad encouraged him to pursue his destiny by giving him his own camera at the age of four and his own darkroom by the ripe old age of seven. By the time he was in high school he was photographing weddings and family portraits. His studio career began in 1984 while attending KVCC and Western Michigan University. Gary is currently adding to his talents and style with constant study of current trends and techniques. Gary has become one of the area’s premiere wedding and portrait photographers and one of the area’s best digital artists. Gary is married to a wonderful woman with a heart of gold and the patience of Job. They’ve been married since 1991 and have two of the funniest sons you've ever met.